All in Girl again ran an impressive second at Parx on Tuesday losing to very impressive first-time-starter out of a low percentage first-time-starter barn. Breaking from post 2 All in Girl saved ground throughout, rallied on the turn, but was out-finished in a game try. All in Girl earned $4,800 for Tuesday�s second place finish. We�ll see how All in Girl comes out of the race and we�ll point her accordingly. 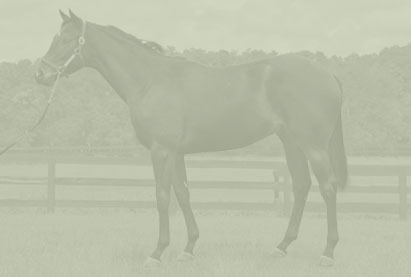 All in Girl is entered to run in Tuesday�s 1st race at Parx which is a Maiden Claiming $20,000 race going 5 1/2 furlongs for Fillies and Mares, 4-years-old and up. She drew post position 2 and jockey Angel Arroyo is named to ride. Arroyo currently has 7 wins and a 9% winning percentage at the meet. All in Girl is currently the 9-2 Daily Racing Form morning line third choice in the race. She�s the DRF Consensus second choice in the race. Two DRF handicappers select her as their second choice in the race and one DRF handicapper selects her as his third choice in the race. The purse for this race is $24,000. First race post time is 12:55 PM and All in Girl's race is Race 1. As always there will be a Hibiscus table in the clubhouse restaurant. Everyone is invited to join our partners at Parx for a fun day of racing.